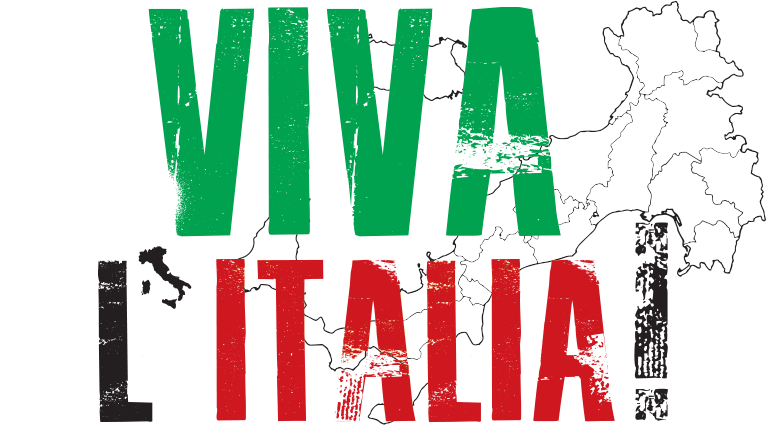 Italy offers some of the most delicious and diverse food the world over. From north to south, dishes change drastically depending on whether proteins come from the land or sea and on how each type of pasta is formed to best hold each region’s ideal sauce. You used to have to book a flight and spend a couple of weeks traversing the countryside in search of these distinct regional flavors. 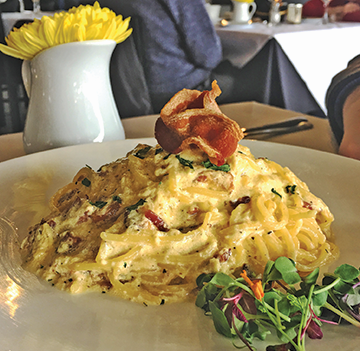 But with the addition of five new Italian restaurants in Salt Lake County over the past few years, along with a long-standing favorite, Utah diners can now sample authentic Italian fare without having to apply for a passport. Let’s take our taste buds on the road. We start in northern Italy where butter (not olive oil) is king, and rich sauces and stuffed pastas flood menus along with excellent pork and veal. The inland lakes of the region offer up freshwater fish in addition to duck and other wild birds, which frequently make an appearance on the table. Head to Veneto (370 E. 900 South, SLC, 801-359-0708, VenetoSLC.com) near Liberty Park to experience the homey feel of an upscale Italian residence in Veneto, Italy. Owners Amy and Marco Stevanoni endeavor to introduce Utahns to Marco’s birthplace of Verona. Here, the pasta course is bursting with options. Fresh egg dough lends itself to both delicate and bold flavors. Try the subtle ravioli cacio e pere filled with tangy pecorino, creamy marscarpone and slightly sweet pears—or go bold with the housemade bigoli con ragu di Anatra. 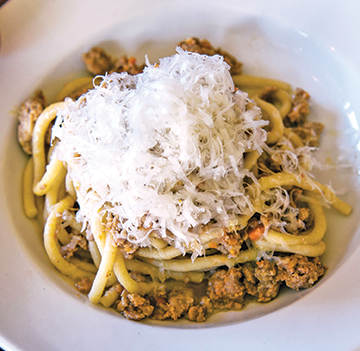 The long, thick extruded pasta is served al dente and topped with a standout duck ragu. Drier than a typical sauce, the ragu is made with minced duck and vegetables that offer Utahns a satisfying and flavorful introduction to this northern Italian dish. Although Tuscan dishes might be considered rustic in their preparation—focusing on the finest quality ingredients that celebrate the flavors of each element—one shouldn’t mistake the simple presentation for anything but a gateway to spectacular flavors. Diners are introduced to this region by two men who have been long-time fixtures in Utah hearts and palates. Valter Nassi came onto the Salt Lake scene when he opened Il Sansovino. He later worked his convivial magic at Cucina Toscana before opening Valter’s Osteria (173 W. 300 South, SLC, 801-521-4563, ValtersOsteria.com). This white-tablecloth establishment might only cross your mind for special occasions due to the price point but know that your evening will be made memorable by Nassi and his team. 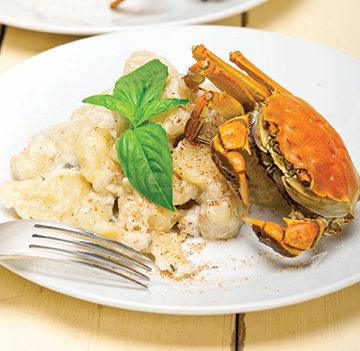 A significant portion of the menu highlights pasta—from the tutta pasta di Valter, which features a duo of housemade gnocchi and ravioli selections that change daily to the linguine alle vongole (linguine with clam sauce). Fresh clams swim among al dente pasta, fresh basil and a silky seafood reduction sauce. 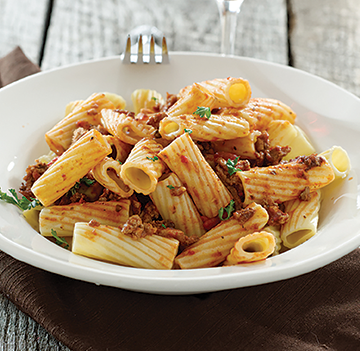 If fish isn’t your focus, try Valter’s mom’s special porcini and meat sauce with rigatoni. Celeste (5468 S. 900 East, SLC, 801-290-2913, CelesteRistorante.com) in Murray is also home base to a man who needs no introduction. As the original Michelangelo owner and chef, Paolo Celeste returns to Salt Lake delivering traditional preparations and quality ingredients in an authentically rustic Tuscan style. At Celeste, breads and pasta are housemade, bottles of the restaurant’s own extra-virgin olive oil and balsamic are delivered to the table, sauces are slow-simmered and even the wine menu is representative of the region. Sample Celeste’s handiwork with flour and eggs in the ravioli incavolati in which ricotta cheese and kale are encased in pockets of toothsome ravioli and bathed in a mellow butter and sage sauce. For an even richer and more filling option, order the gnocchi al granchio for pillowy, housemade nuggets enveloped in a creamy pink tomato sauce and studded with lump crab meat. Molise is the youngest region in southern Italy where the cuisine is dominated by the aromatic herbs that grow there. 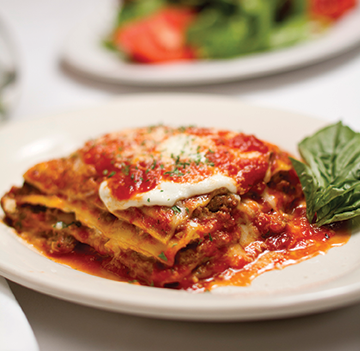 Spicy salami, lamb and goat dishes and pasta with hearty sauces are Molise’s signature. And what better place to experience them than at Caffé Molise (55 W. 100 South, SLC, 801-364-8833, CaffeMolise.com)—which has provided locals and visitors to Salt Lake with inspired Italian cuisine since Utah’s dining scene was in its infancy—and which will soon move to a new downtown location (404 S. West Temple)? Caffé Molise owner and chef Fred Moesinger has endeavored to present authentic dishes such as ravioli with eggplant (below) and with pumpkin (bottom) from the Molise region. His pollo alla gratella (tender, grilled chicken breast marinated in garlic oil and balsamic vinegar and served over pasta with a tangy sauce of artichoke hearts, sun-dried tomatoes and gorgonzola cheese) is an always-stellar order at lunchtime. For spicier options, Caffé Molise offers the orecchiette al Salsiccia that aptly represents the region’s finest culinary traditions. Spicy Italian sausage is tossed with al dente orecchiette pasta along with an earthy mix of wild mushrooms, onions and tomatoes for a supremely satisfying dish. In southern Italy, visitors find sunshine, seafood and tomatoes in vast supply along with fresh mozzarella and burrata in addition to a variety of firm cheeses. 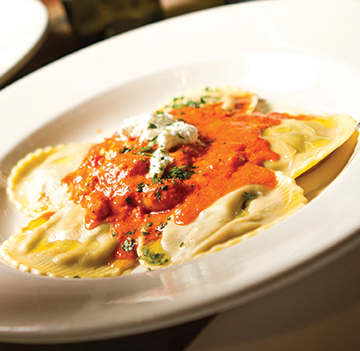 Instead of fresh egg pasta, dried pastas are more the norm with generous selections of red sauces. At Carmine’s (6926 S. Promenade Drive, Cottonwood Heights, 801-921-9048, Carmines.restaurant), chef and owner Carmine Delli Bovi hand-pulls creamy balls of mozzarella and burrata to top pizzas and appetizers and imports Caputo flour for all his pizza crusts. His work in the kitchen delivers delicious masterpieces one dish at a time. Presentations range from the simple burrata prosciutto e melone appetizer that depends on the sweet and salty combination of quality ingredients to the more complex Carmine’s pizza, which melds a sweet and fatty bacon marmalade with peppery arugula and fresh mozzarella. Pastas like classic lasagna with layers of cheese and tomatoes and carbonara with bacon and a creamy egg sauce all make star appearances while two selections of housemade gnocchi—one with a rich four-cheese sauce and another with tangy marinara and fresh mozzarella—take center stage. Per Noi Trattoria (3005 S. Highland Drive, SLC, 916-649-3663, Facebook.com/pernoislc) recently moved from the Sugar House neighborhood where it thrived for the past five years to a larger, more centrally situated spot on Highland Drive. No matter the location, what remains constant at Per Noi (meaning “for us”) is the focus on recipes handed down from two families. Per Noi chef and owner Francesco Montino does his mother and grandmother proud by serving up high-quality dishes hailing from Sicily and Naples at reasonable prices. Naples is known for its eggplant parmigiana, and at Per Noi, it’s a can’t-miss appetizer that’s seared and stacked between layers of firm mozzarella and bright marinara sauce. The flavorful eggplant also makes an appearance in the rigatoni Siciliano dish alongside fresh tomato sauce. While the lasagne, the spicy penne arrabbiata and housemade spinach ravioli with ricotta are tempting pasta options, the fusilli puttanesca with pungent Kalamata olives and capers in marinara transports diners directly to the seaside in the south of Italy.